I heard about this film a few months ago, and thought the trailer looked promising. Even when the reviews came in and said the film was terrible (one review I saw called it a “soulless possession flick”), I was still interested. So today I got in the car and went to see it, thinking it would either be as terrible as advertised, or I might like it more than others had. Well, you can’t live on caviar alone, can you? 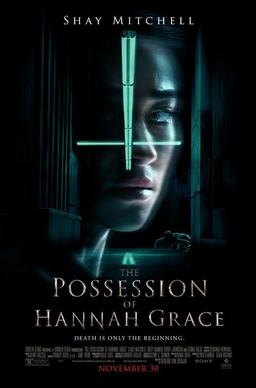 The Possession of Hannah Grace follows Megan, a former cop and recovering addict who gets a job on the night shift at a hospital morgue. On her second night, a body gets dropped off with extensive damage, the result of a botched exorcism, and immediately weird things start happening around Megan. Machines won’t work, someone breaks into the morgue, and the body seems to change in very odd ways. Soon Megan realizes the corpse, the human formerly known as Hannah Grace, may be more than just a dead body. It may be the vessel for something much worse. This film was rife with problems. I mean, it had a great set, and the actors put their all into their roles. Shay Mitchell as Megan does a great job as vulnerable, and it was a nice surprise seeing Stana Katic from Castle as Megan’s friend/AA sponsor (I miss that show sometimes). And there are a couple of good jump scares here and there, plus some pretty brutal death scenes. There’s a good horror film trying to break out of here. The problem is, it’s just not scary. It starts off showing Hannah Grace’s failed exorcism and how she dies, and that takes out much of the mystery and suspense of the film. I feel if the film had been given a different name and the knowledge that Hannah’s botched exorcism until two-thirds through the film as a twist reveal, it would’ve been more effective. As it is though, we know too much, and see where it’s going much too soon. That wouldn’t be a problem (that’s usually how films in the Conjuring series or some of Blumhouse’s films operate, and those are often very good), but the lack of atmosphere and the poor attempts at jump scares don’t do the film any favors. Also, the ending gave me so many questions. Not the good kind of questions, like the ones that make you return to the film to look for Easter eggs or hidden meanings. The kind that make you scratch your head and wonder what the filmmakers were thinking when they made these decisions. I won’t say what they were in case you don’t want to be spoiled, but let’s just say they left me a little disappointed, and I’d be more than happy to vent in the comments. And oh my God, you can hear every breath Megan makes! And while that’s normal for characters in a scary movie to breathe hard, here it’s just distracting for some reason. On a scale of 1 to 5, I’m giving The Possession of Hannah Grace a 1.5. 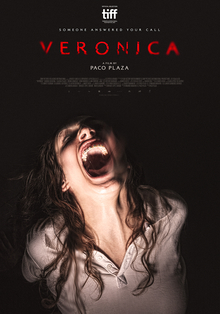 It’s a crappy possession film that’s trying to market itself as a B-grade popcorn muncher but not doing any of the work to get that distinction. On the bright side, based on the ticket sales for this film, we won’t have to worry about a sequel or prequel. That’s something to be thankful for.